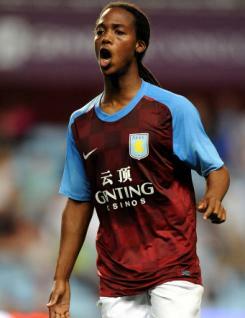 Daniel Johnson is a young midfield player who joined Aston Villa as a scholar, graduating to a professional contract in January 2011. Spotted playing for the Crystal Palace Academy team, Daniel is an all-action powerhouse in the centre of the park. He has made rapid progress since joining Villa, captaining the youth team, becoming a regular in the reserves and making the first of several appearances on the first-team bench, although he has yet to make his senior debut.